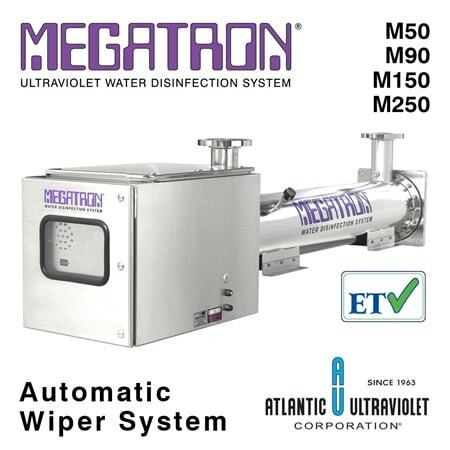 Ultra Violet water disinfection utilises the power of germicidal ultra violet and is a non chemical, non heat application which kills micro-organisms including bacteria, viruses, moulds, yeasts and protozoa in water. Potable water, ingredient water and food processing water can all be treated with ultra violet without change to flavour or colour. Ultra violet can be used to treat wastewater and secondary effluent and is extensively used by Local and State Utilities to effectively control bacteria and pathogen problems. 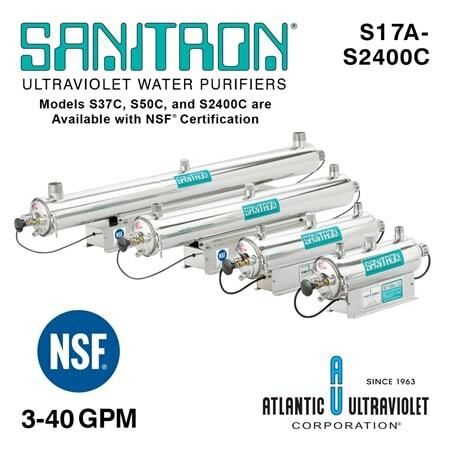 Disinfection by ultra violet is effective, safe, fast, automatic and chemical free. Any flow rate can be treated. New York City drinking water is treated with ultra violet handling a flow rate of 4.9 billion litres per day. Importantly, UV kills protozoa such as Giardia and Cryptosporidium, which cannot be destroyed by chlorine and are a huge infection risk in all swimming pools. 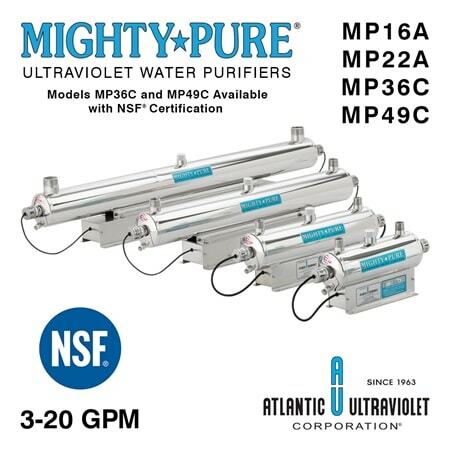 Dosages of high intensity UV helps to eliminate chlorine, ozone and chloromines from water. 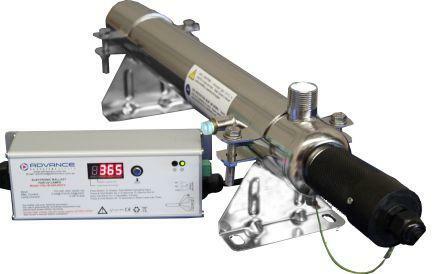 We offer a complete range of disinfection units for all flow rates and applications. Choose from standard models or compliant models to suit your requirements. Wide range of models to suit every application – domestic, commercial & industrial. Watermark Level 1. 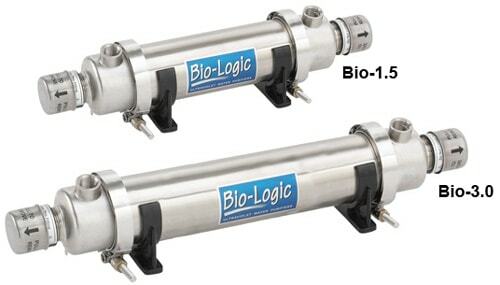 Bio-logic treats water in volumes up to 12 LPH. Ideal for water tank use or kitchen under sink. Download the product brochure PDF here. Models suitable for flow rates up to 9000 LPH. Features patented dual action manual sleeve wiper. Flow rates up to 18,000 LPH. Suited to Industrial wastewater, secondary effluent use, and large flow rates up to 14,000 LPH. Verified by the E.T.V.[USA]. All features includes sleeve wipers.